As external forces increase the demand for land conversion, communities are increasingly open to policies that encourage conservation of farm and forest lands. This interest in conservation notwithstanding, the consequences of land-use policy and the drivers of land conversions are often unclear. One of the first books to deal exclusively with the economics of rural-urban sprawl, Economics and Contemporary Land-Use Policy explores the causes and consequences of rapidly accelerating land conversions in urban-fringe areas, as well as implications for effective policy responses. This book emphasizes the critical role of both spatial and economic-ecological interactions in contemporary land use, and the importance of a practical, policy-oriented perspective. 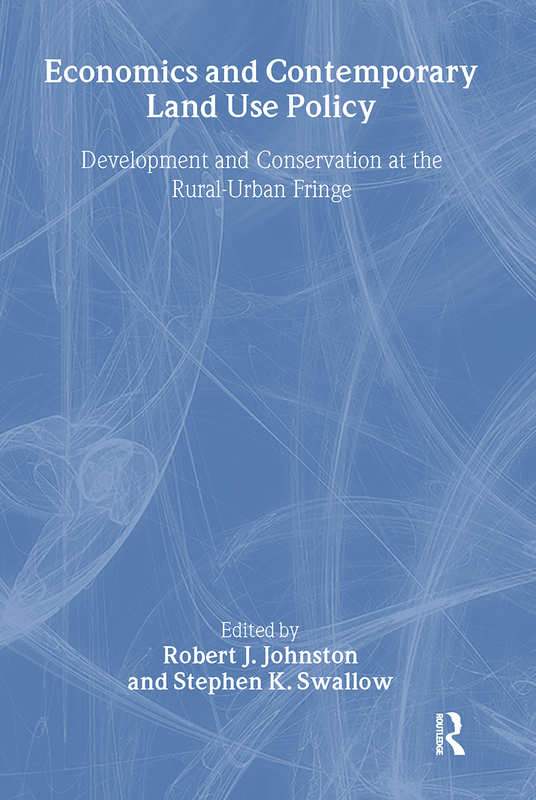 Chapters illustrate an interaction of conceptual, theoretical, and empirical approaches to land-use policy and highlight advances in policy-oriented economics associated with the conservation and development of urban-fringe land. Issues addressed include (1) the appropriate role of economics in land-use policy, (2) forecasting and management of land conversion, (3) interactions among land use, property values, and local taxes, and (4) relationships among rural amenities, rural character, and urban-fringe land-use policy. Economics and Contemporary Land-Use Policy is a timely and relevant contribution to the land-use policy debate and will prove an essential reference for policymakers at the local, state, and federal levels. It will also be of interest to students, academics, and anyone with an interest in the practical application of economics to land-use issues. Critical Mass: Does The Number Of Productive Farmland Acres Or Farms Affect Farmland Loss? Are Agricultural Land Preservation Programs Self-financing? Support For Conservation Policies And Values For Conservation: Are They Related? Economics and Land Use Policy: Where Do We Go from Here?